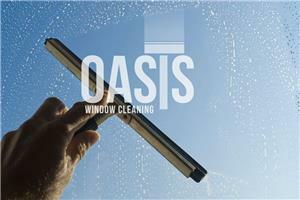 Oasis Window Cleaning - Cleaning Services, Fascia/Soffits/Guttering, Windows/Doors/Conservatories based in Bordon, Hampshire. Oasis Window Cleaning is a professional and reliable window cleaning company that prides itself on delivering a quality service at an affordable price. Using the latest water fed pole technology we clean not only the glass but the frames and sills every time to leave your windows sparkling and streak free. With this system we are able to get to those hard to reach windows that are normally inaccessible. We clean both domestic and commercial properties and can offer a regular, reliable service to meet your requirements. You will always be notified of when we will be with you and can offer a text service to remind you the day before we are due. All our work is fully insured and we offer a 24 hour callback service where we will rewash any work that does not meet our high standards free of charge.